Second time touring with this company -- Excellent! 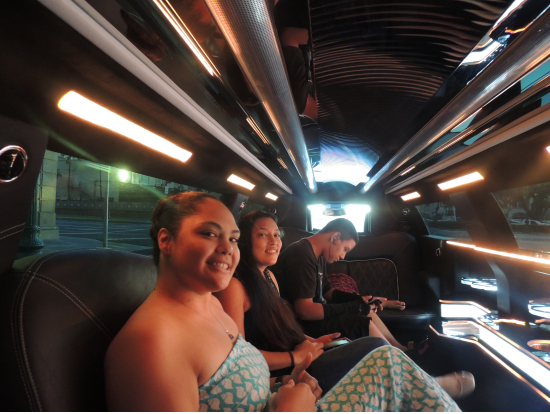 We had a few hours to spend on Oahu between the time we left our cruise ship and our mid-afternoon airplane departure, so of course we set up our tour through Platinum Limousine Service. We had previously experienced a wonderful one day tour, but there were still sights to see. 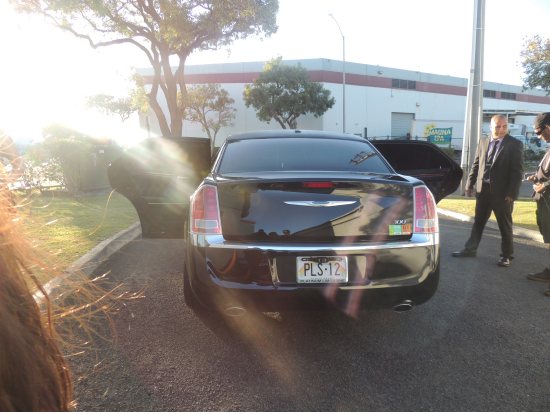 Pua picked my husband and me up from the cruise ship dock on time in a Cadillac Escalade, perfect for our luggage, too. 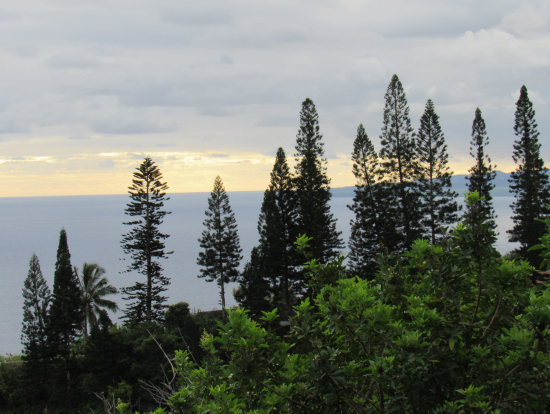 We love these Escalades, because they allow a higher vantage point while driving around the island. Pua asked us where we had been, and then quickly mapped out a tour for a few hours of sights we hadn't seen. 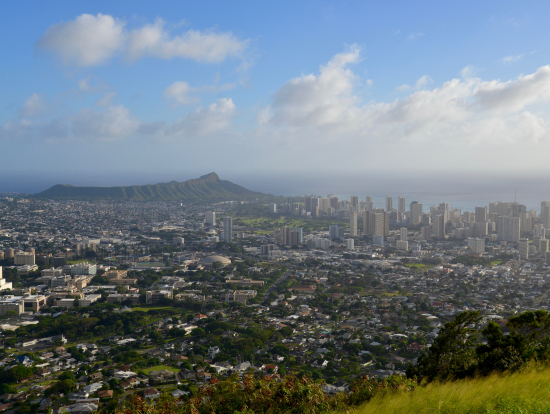 We saw different picturesque views of Diamond Head and Waikiki, and drove into the crater. 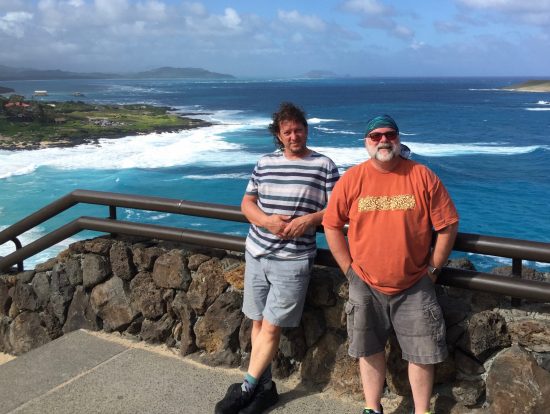 We drove the perimeter of Diamond Head, seeing the lighthouse and stopped at scenic overlooks while Pua explained films that had been made there, or history about the area. 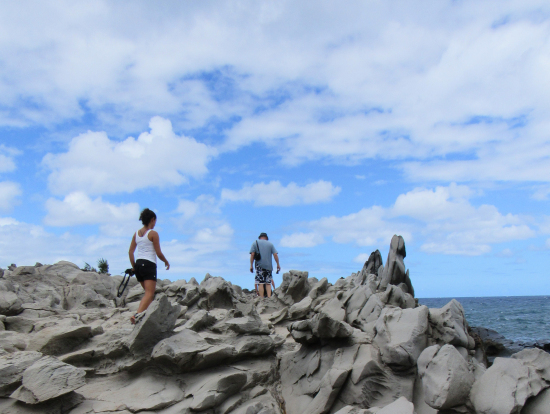 She took us to see two different blowholes on the east coast, and the beautiful town of Kailua -- our favorite on Oahu. 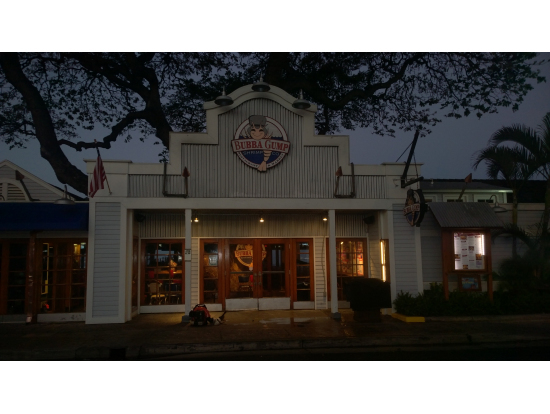 At Pua's suggestion, we ate lunch at Buzz's, across from the beautiful beach in Kailua, and it was delicious! I have never tasted such a wonderful squid steak, and our lunches were perfect. We drove along the coastline and then across the island to the airport, stopping at the Nu'uanu/Pali Lookout over the tunnel through the mountain, where the winds blow in a famous updraft that will take your hat off your head if you aren't paying attention, but which has gorgeous views of the island and the ocean beyond. Pua was an excellent guide, and knows the history of her island and willingly shares information on local customs and traditions. She is fun and personable. If you have a few hours or a day, set up a trip with Platinum Limousine Service. You won't be sorry. Thank you very much for your great review. I'm glad you enjoyed Hawaii and had a positive experience with Pua. We will convey this to Pua as she is one of our top drivers/tour guides. 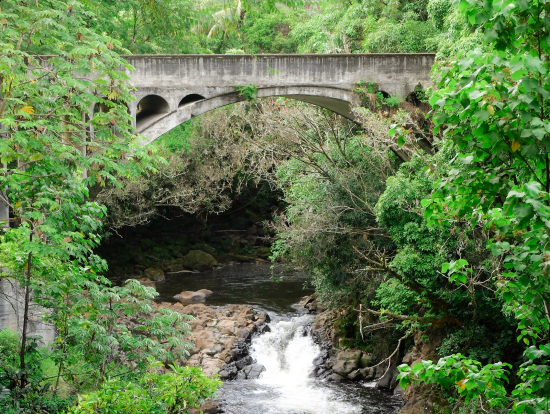 We hope to see you on your next visit to Hawaii, and catch those sights unseen. Mark, our driver, met us at our hotel on time, and had our tickets ready to see Pearl Harbor. He gave us a brief overview of the attraction, and met us when we were finished with our tour of the Arizona memorial. Pearl Harbor is a must see. We had scheduled a 7 hour tour, but realized that we had 10 hours available, since our plane left that night late. Mark made it happen, with a call to Veltra, and our tour was extended. Mark knows the island well, and gives plenty of information. He makes recommendations, but also listened to our wishes. 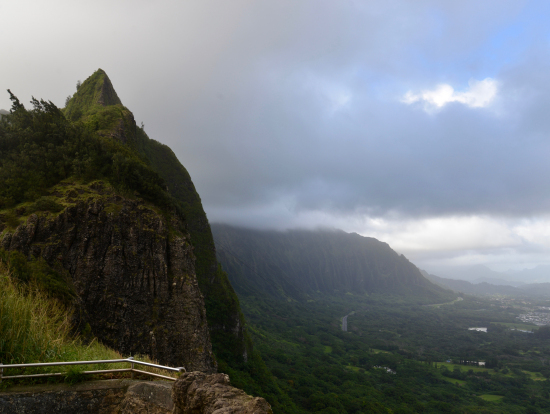 My husband is a photographer, and as one of our many stops Mark took us to a place he hadn't been for 30 years -- a "lover's lane" type overlook, where the city and Diamond Head and the sea were just mesmerizing. We also saw the Dole Pineapple Plantation, had the best burger of our lives in Hale'iwa, saw beaches and surf towns, mountainous rain forest areas, a wonderful coffee/macadamia shop run by Hawaiian locals, and more before returning to Honolulu. Our photos are fantastic! The Escalade Mark drove was very clean, smooth and nice, and the high vantage point made our ride and views even better. Veltra prices are great for this tour. You will be satisfied! Thank you very much for your great review. Im glad you enjoyed Hawaii and had a positive experience with Mark. We will convey this to Mark as he is one of our top drivers/tour guides. Got a family of 5 or more people? 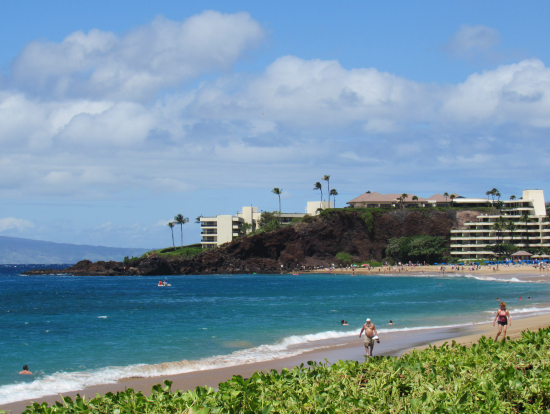 Need to get from the Honolulu airport to your Waikiki hotel? Don't want to spend 1 hour on an airport shuttle that stops at 10 different hotels? 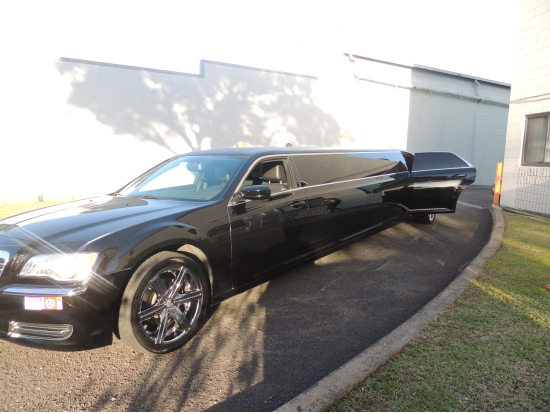 YOU MUST CHECK OUT HAWAIIAN ACTIVITIES LIMO SERVICES!!! We give our tour 10 Stars because of our driver Jason from Platinum Limo Service. His car was impeccable,his service amazing. 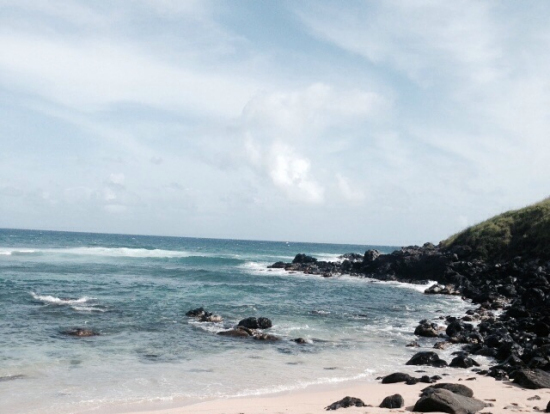 We gave Jason the itinerary we wanted while only on Oahu for one day; and he delivered. 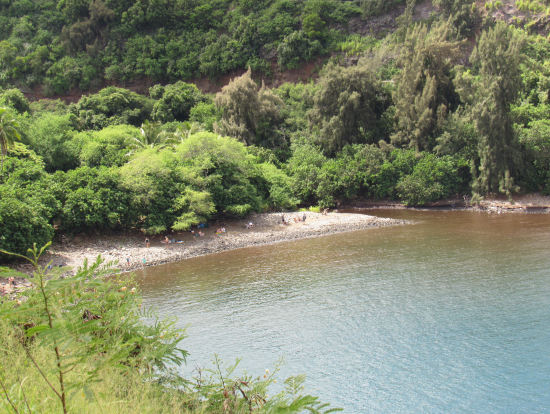 Beginning with Pearl Harbor and ending with the tour of the Punch Bowl, we saw all we could during that time. 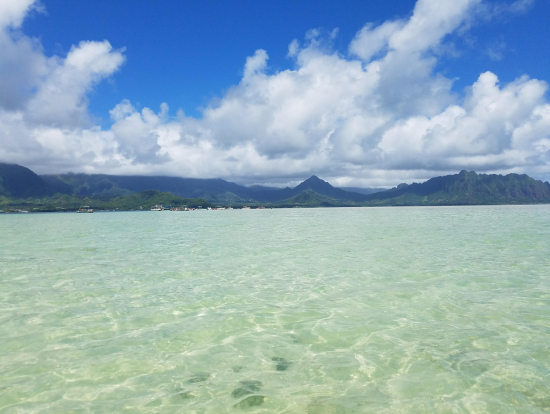 In order to see how amazing Oahu is, get out of the downtown and visit the beauty of the mountains, swim with the green sea turtles, watch the surfers, and finally reflect on our servicemen that protected our country in the tranquil and beautiful Punch Bowl National Cemetery. Yes, we did all of this in one day. And I almost forgot, thanks Jason for a taste of the island with our stop at the Shrimp Shack. We know that Veltra is known for servicing Movie Stars and Entertainers, but we were treated as if we were too! Don't hesitate to book, and ask for Jason. We did not really know what to expect with this tour and was very pleased with our private VIP tour with Lee from Wild Orchid Tours. 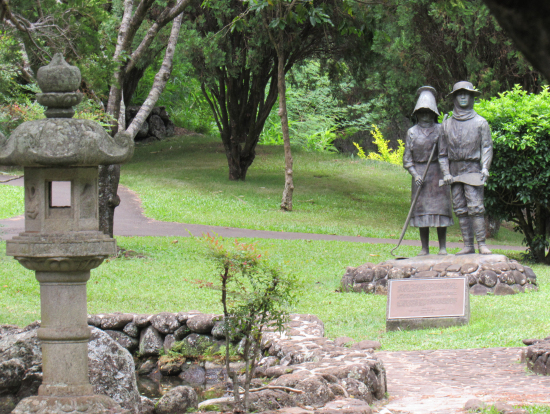 He showed us many hidden gems on the island, as well as gave us quite a lot of background info on Hawaiian culture. 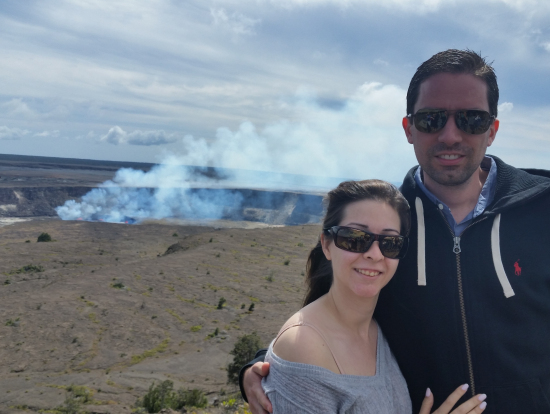 We came away well versed in the lore of Pele, the Volcano goddess and the history of Kīlauea's activity. The visibility at Hawaii Volcanoes National Park was bad the day of our tour, but Lee came prepared with rain ponchos and walking sticks. 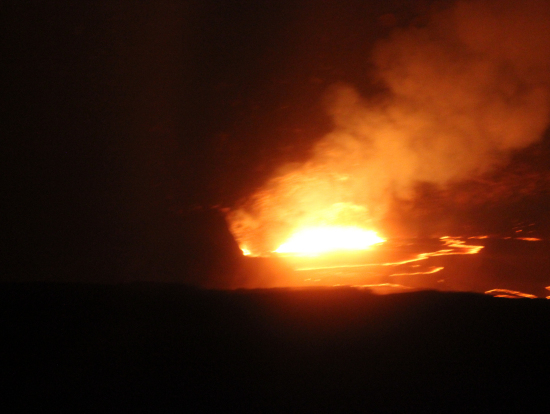 We were thrilled he took us out to see the lava flow after sunset. We saw so much, the waterfalls don't seem worth mentioning. The bonus is that Lee is fascinating himself. 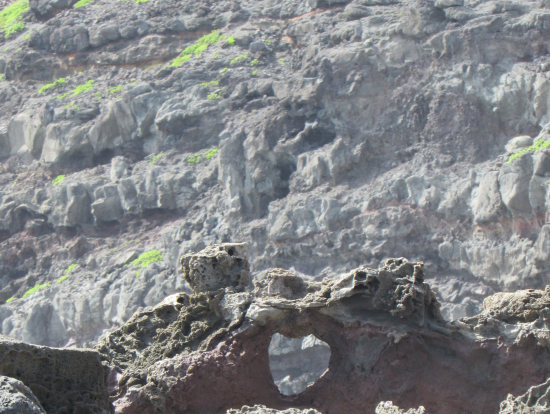 He's knows his Big Island, but that's just the beginning. After our tour, my friend and I almost wanted to extend our stay so we could take Lee and his wife, Renata, out to dinner. Well worth the money. I highly recommend Wild Orchid Tours. 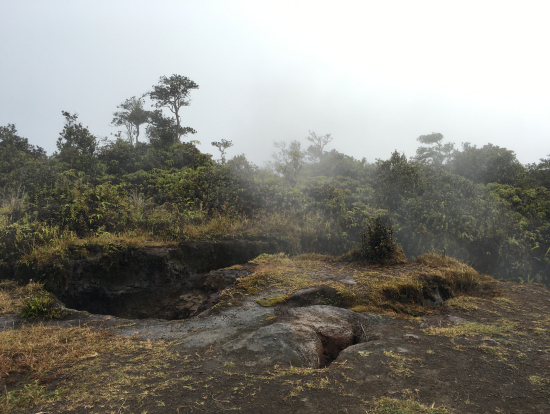 Moody weather on the crater didn't dampen our spirits. Lee still was an excellent tour guide! 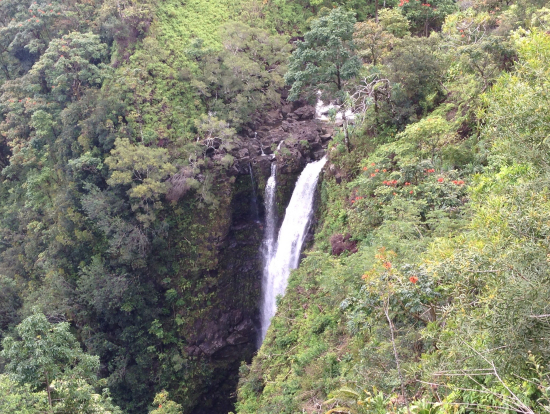 One of the waterfalls near Hilo we saw on our tour with Lee. I surprised my husband with a private tour - South Shore Kauai. My husband has always wanted to go exploring in the old Sugar Mills. We were lead by Joe, a retired Police Offiicer, born and raised on the island. Senior tour guide. A wealth of interesting information. Gave us an intimate personal tour and accessed areas that we would not have been able to visit on our own. Shared his personal stories of growing up on the island. An unforgettable day - we will always remember. Probably the most expensive thing we ever did in a day. My husband would have a cow, if he knew how much it cost - but it was so worth it. He said it was an experience to cross of his BUCKET LIST. 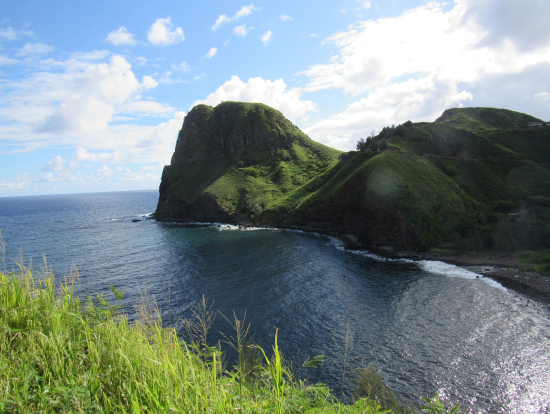 We have been to Kauai many times, and can't wait to go back for more trips like this. 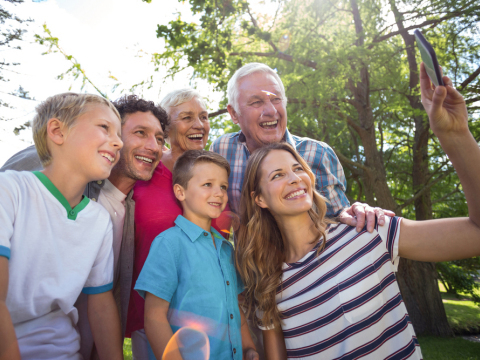 WAY BETTER than a group tour. You can customize it to your desires. Highly recommend a private tour, if you can afford it!!! Lee, our tour guide was super friendly. He also teaches at a local school hence has a great skill for storytelling. 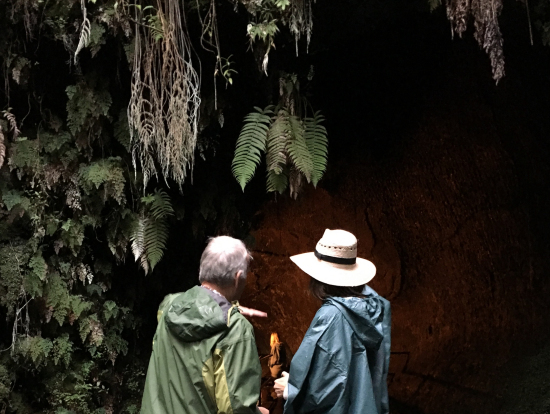 He not only showed us some pretty amazing stuff like live volcano, volcano tubes and the waterfalls, he also told us a lot about Hawaii, Hilo, Hawaiian culture, heritage and people. If you are someone who wants to know more about all these places and the legends and stories associated with them, go for this tour. Lee has so much knowledge to share and we felt like school kids on excursion. He encourages questions and appreciates them too! 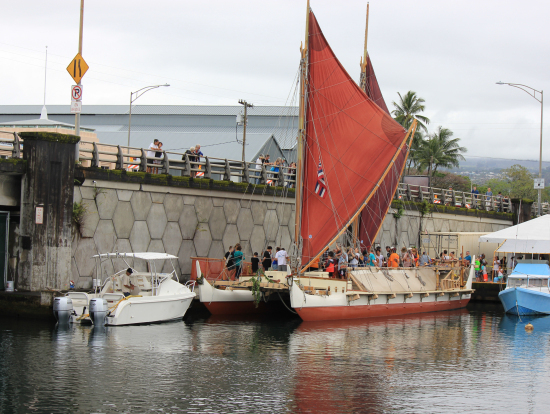 He showed us the Hokule'a which was in town for 2 weeks. And took us to the amazing Rama paintings exhibition. 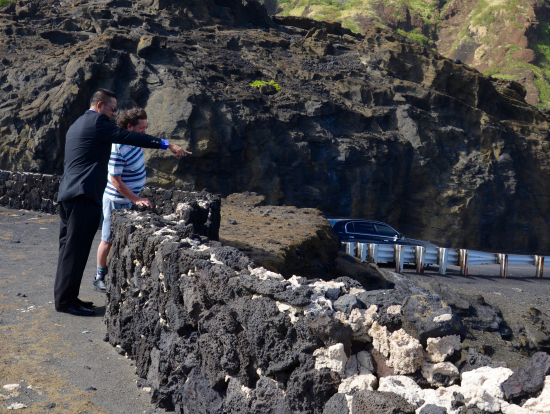 He gave us a brief tour of the town and showed us several historic sites and took us to the Volcano on time. He customizes the tours based on your interests. We had a great time and wish Lee and his family the best! 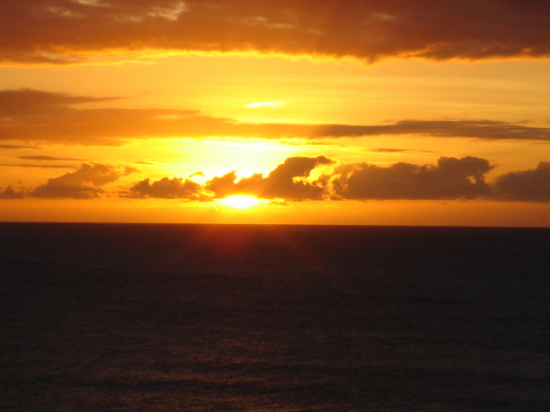 Mahalo nui for the opportunity to be with you and your dynamic questions, curiosity and love for the island of Hawai'i. 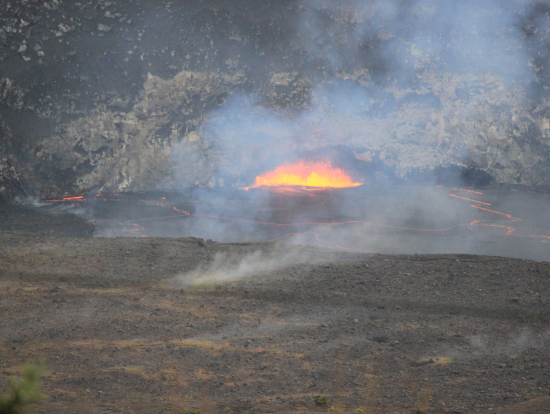 Please pay attention to Madame Pele through the national volcanoes' park website. She is dancing and rumbling and shaking the island right now. I would whole heartedly recommend this transportation method. 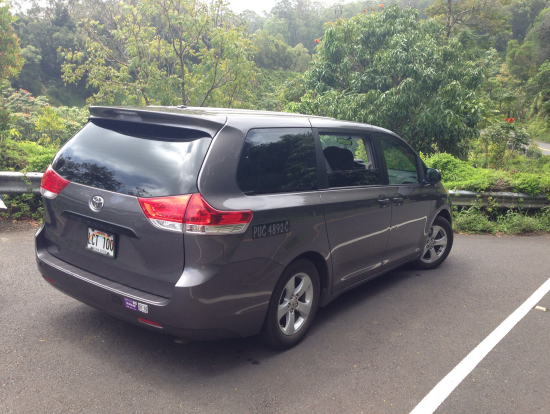 We were picked up on time at the Airport and transported to our cruise ship efficiently , and in an upgraded vehicle. This really was a nice, comfortable and upscale way to start our vacation. One of the reasons I booked this for our group (9 family members from various areas of Canada) was that with so many people and so much luggage I did not want to make last minute arrangements and the cruise ship was asking 35/head to transport us to the ship which when you add that up (315.00) we were far better off with the $140.00 charge for the black excursion trip, and we went in style (plus a well deserved tip for the driver). I would use this service again and indeed I tried to on the way back to the airport, but they were fully booked, so I would suggest you book well in advance to be sure. 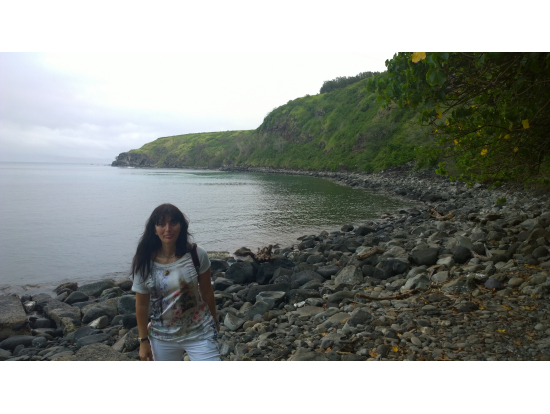 I have done many different tours in Hawaii, and no doubt Jasmine was the best tour guide I have ever had. The tour was perfect from the pick up until the drop-off. I wasn't sure what to expect since this was my first time on the island but I'm glad I did it. I would never have been able to see this much in one day by myself. She safely drove us through windy and narrow roads and took us to places where large tour buses cannot go. What a difference Jasmine makes. 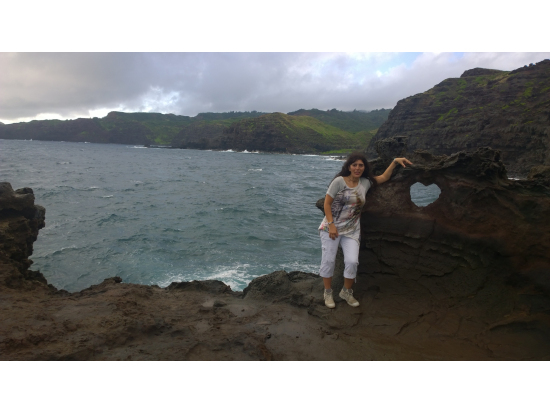 She is a local Maui girl who deeply loves what she does, she is very knowledgeable and shared interesting facts about Maui's history, culture, geology, ecology, industry etc. 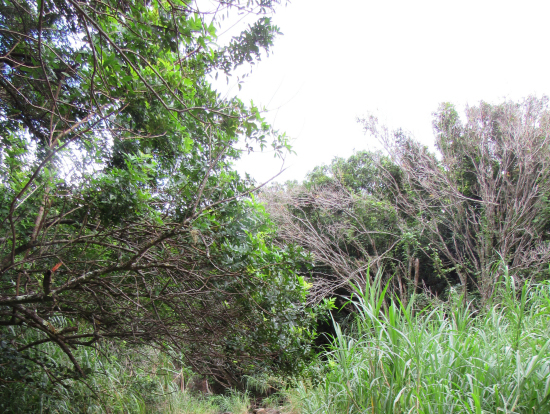 This tour took me to many out of the beaten path places in Maui, giving me memory that will last a lifetime! 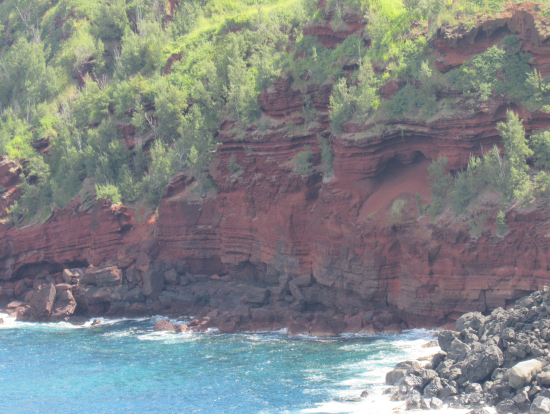 If you are visiting Maui I highly recommend booking the West Maui Sightseeing Tour! We loved this! We took the morning tour and it was perfect. Both the guys were friendly, courteous, and fun to be with. They clearly know what they are doing and we had a perfect sail. 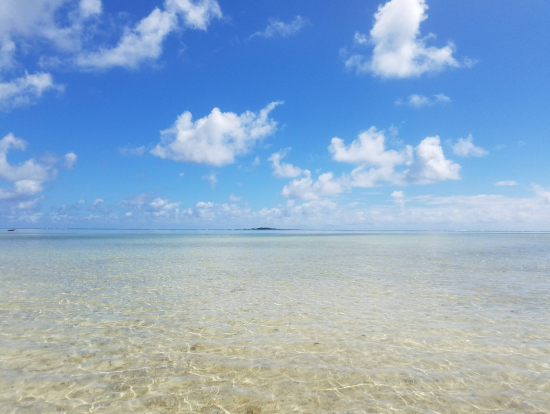 Having traveled all of French Polynesia and never found a sailing canoe, this is a very special opportunity. The boat is extremely stable and comfortable, much more so than a monohull and we felt very safe and relaxed. 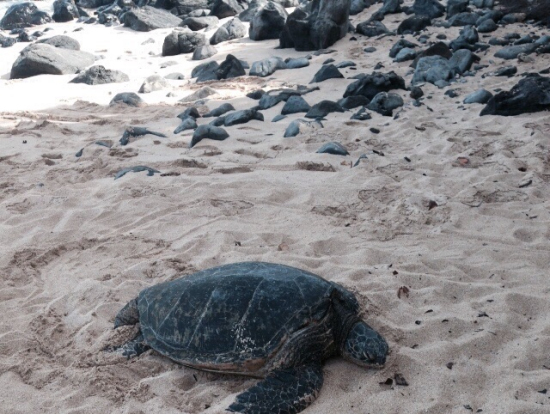 We went to an island where we immediately saw turtles and a lounging monk seal. The guys new all about the local wildlife, historic and local customs and were quick to share their knowledge with us. This organization also supports local organizations and work with kids in the local community so we felt great about supporting their work. Having been all over the world, this was an extremely special and unique part of our trip to Oahu. 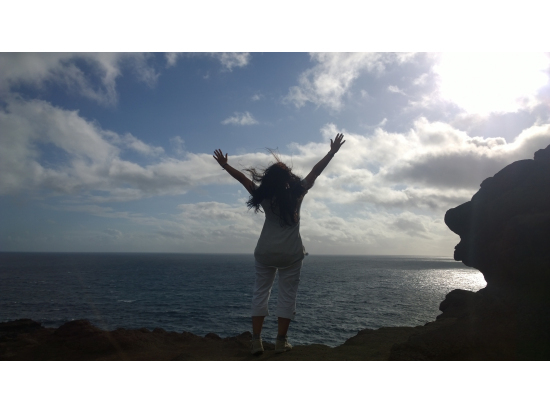 This tour was the last thing I did in Hawaii, but certainly the most beautiful and the most intense. It was born in my head as a different way to get to the airport and it proved rather to be the cherry on top! 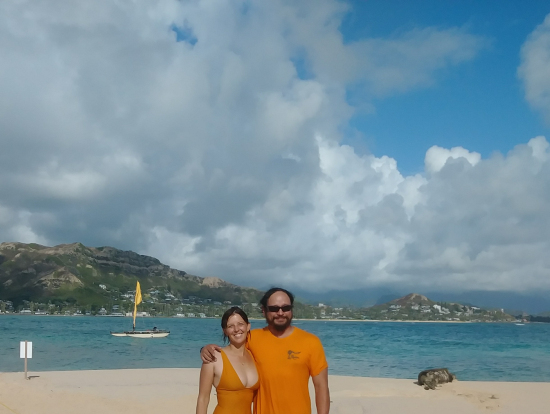 I met at dawn my personal guide, Jasmine Kilborn, a magnificent Hawaiian girl who transmitted to me all her love for the island of Maui, for the history of Hawaii, for their traditions. 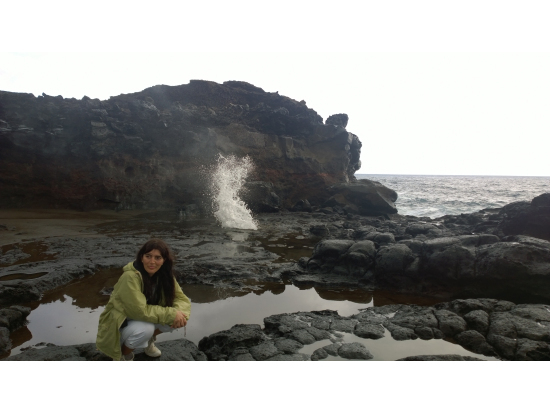 We visited amazing places and we breathed the magic of nature in its more authentic splendor: old Lahaina, Nakalele Blowhole, Makamakaole Stream and Waterfalls.... 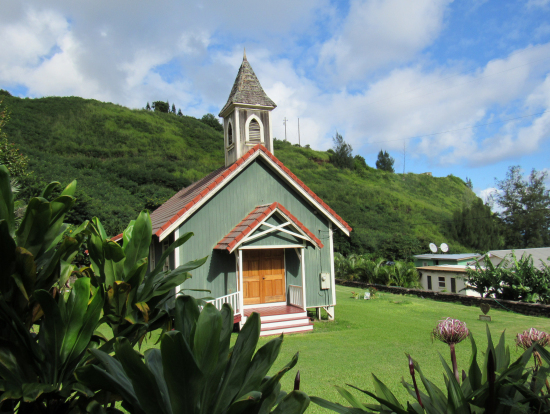 The road itself was worth the travel and during the trip Jasmine told me about religion, Hawaiian language, Hawaiian habits and she put traditional music and songs to accompany the emotions that we lived. I felt a real sense of accomplishment! MAHALO NUI LOA! My group really enjoyed the transportation provided on this tour. Though we rated it 5 stars be aware that you will not get in the full circle island tour if you participate in boat trip to the memorial at Pearl Harbor. The tour at Pearl Harbor took up three hours of our time in our luxury limosine and forced us to cut our time short along the circle island tour. We were able to get in 30 minutes at the dole plantation - just enough time to ride the train - and we blew through the Pali Lookout but we were only able to drive through the south shore, Hailewa Town, and didn't get any narriation on what we were seeing. Be sure someone in your group knows the cites or you'll just be driving by seeing things but will not know what you are looking at. Otherwise, great value. 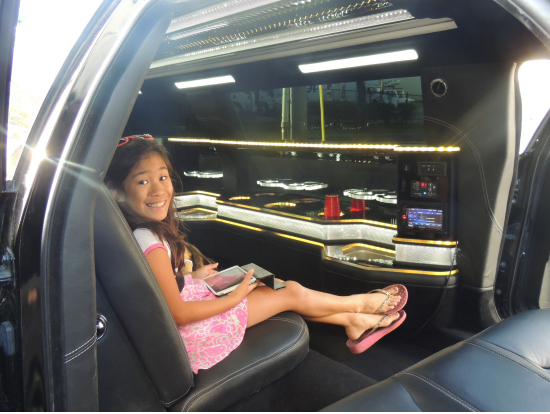 I reserved a VERY LAST MINUTE limousine transportation from my house here in Hawaii to take us to our hotel in Waikiki for my daughter's birthday weekend. Marissa from VELTRA.com was extremely helpful in booking my reservation and took care of all the arrangements for us. The driver was very nice and the limousine was extremely impressive, it was a PERFECT touch for my daughter's birthday and I will definitely use Platinum Limousine and VELTRA.com again. 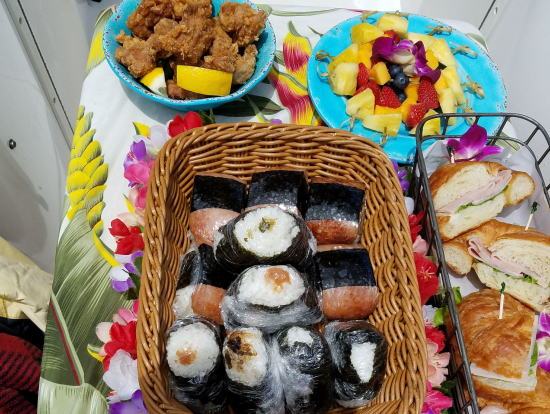 I visited Hawaii from Japan for my wedding party. We planned to have a bachelor and bachelorette party before the wedding and booked Private Limo with VELTRA for ride to club. Everyone was so excited when Hummer Limo arrived at Hotel to pick us up. We requested to drive around Waikiki downtown and we started to party inside the car.Driver was very nice and polite. He easily responded our request (drop off/pick up some friends during drive)and we totally enjoyed limo riding with party songs and drinks. It was nice that we could bring in our own drinks, snacks and music. We ended up clubbing after limo ride and everything was smooth and perfect. We had a blast.I really recommend to ride a Hummer Limo if you really want to make a great memories! 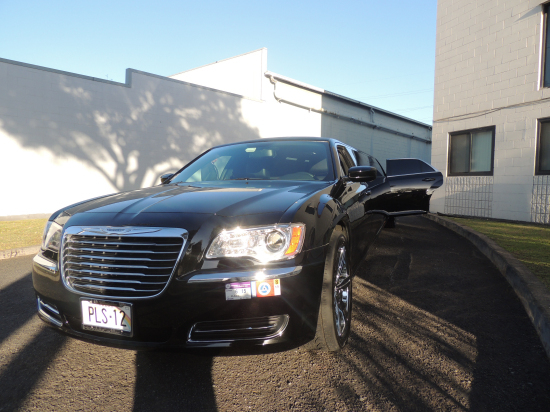 I have always booked my Platinum Limousine through Hawaii Activities and have always been extremely pleased with both my arrival and departure experience each time that I visit Honolulu. The cars are always newer models and very clean and the drivers are always on time and extremely courteous. In my opinion, it is much better to pay the extra and have a personal car and driver pick you up at your hotel when you want and safely deliver you to the airport in luxury rather than ride a shuttle bus that stops at dozens of hotels picking up people on the way to the airport. After all, you’re on vacation so I believe that you should enjoy it and spurge a little. When you have great drivers like Jared, it’s well worth the added cost. 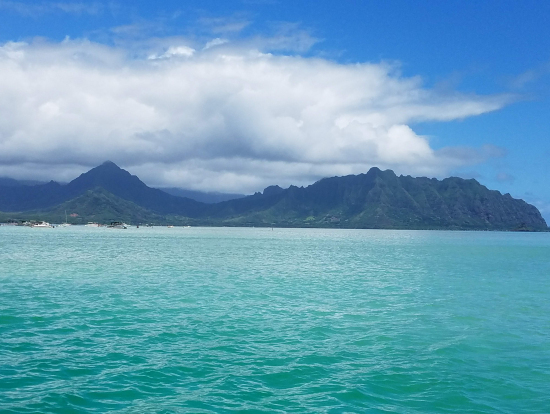 Our family did the private boat charter when on vacation in Oahu just a couple of weeks ago, after booking from the Internet and just hoping we would get a tour that we would not forget. We were not disappointed at all, not realizing this company catered largely for Japanese tourists we were so impressed with our charter. Our captain was just so friendly and informative and made us feel very welcome and was great fun too. We will certainly be coming back again one day and booking another charter and would highly recommend to anyone that wants to treat themselves to something special and spoil themselves on a captain Bruce charter. Thank you so much for your hospitality. Kind regards, the Hortons from Down Under ! Our excursion went extremely well. We were met at the pier at the designated time with no issues. We met our driver/guide and were on our way. Our driver was Bobbie who gave us a very comprehensive verbal overview of the entire trip. She would pull over at various times to let us get photos of the scenery. We liked the fact that we could stay at any stop for extended time if needed. Because Bobbie was Hawaiian raised, she could give us a perspective of Hawaiian life on the island. The van was very comfortable and the driving was very good. No speeding. She gave us plenty of bathroom stops. All in all we very much enjoyed the trip and would recommend this tour. 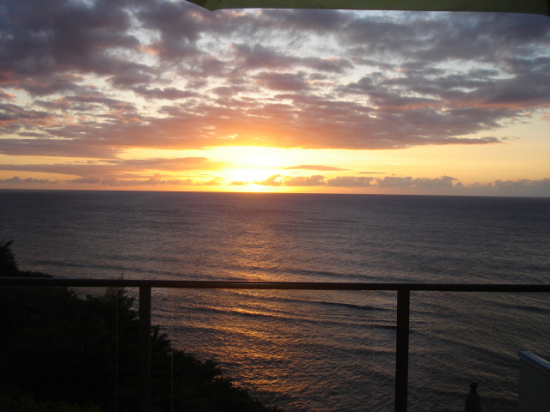 This was my third trip to Hawaii, and by far the best. Since I was traveling alone, I was a little nervous. My driver was already waiting for me just outside of baggage claim, and had called my cell phone to confirm my arrival as soon as we landed. My hotel was on the Diamondhead end of Waikiki Beach, so the trip took a while. The driver was very friendly and informative; calmed my "lone traveler" anxiety. After a very long flight, it was wonderful to relax and enjoy the trip to the hotel; not being crammed into a airport transfer van with a dozen people I don't know. I also used Platinum for departure. The entire experience made the trip even more special. Howdy from Canada! Just wanted to drop you a line (no pun intended) to say Thanks for the AWESOME day of fishing we had with you. You and your crew did a great job in putting us onto lot's of fish!!! You helped where you could, and showed patience when we screwed up. What a great bunch of guys!! I lost count somewhere between 60 and 70 Ahi and Aku combined, plus a good Mahi Mahi. There must have been close to 80 fish in all!! I will be telling everyone I know who might be going to Hawaii about your operation, and you can bet that when we come back, we will look you up for another day of fun. Thank you for a day we will never forget. Kurt was great. Showed us things that we would not have been able to see if we were with a big group. He was very friendly and informative. He knew so much about the history of the island, which was great. We had a great time stopping at so many places and walked away being able to experience some true hawaiin activities that others would not. We also got to dictate the tour (if we didnt want to do something, we did not have to do it). Highly recommend this to anyone that does like big groups and having to wait for big groups and for people that want to experience different things on the island. Thanks again Kurt. Gus was our driver and we are glad. There were 4 of us and we all appreciate the safe driving because this road can be treacherous. It was a long day and Gus kept us entertained all day with knowledge about every part of the trip. We went places where we would not have imagined there would bevsomething to see and Viola, more Paradise. 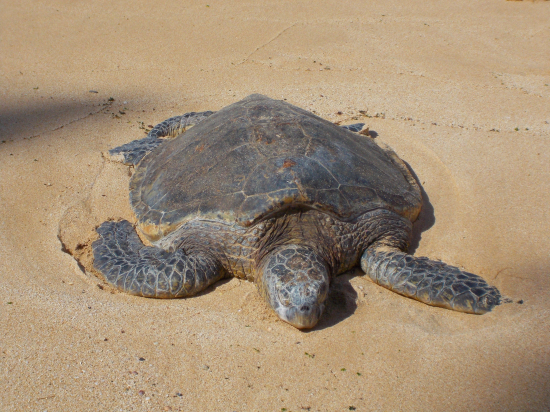 We saw sea turtles sleeping on the beach, many waterfalls, an upclose tour of an area where the portuguese workers had built a giant cross in tribute to the beautiful island. We are so glad we booked this intimate trip instead of a big bus full of people. I reserved a limo for transportation from the airport to our hotel, I "ordered" a "stretch", imagine my surprise when the limo that greeted us was a Hummer!!! My daughter was THRILLED. This was only slightly more expensive than a taxi and very well worth the extra!!! Our driver was courteous and professional and it was a blast being on the inside watching people who no doubt were wondering, "who is that in there", as we do when we see a limo go by. I would recommend this to all and if I am fortunate enough to return to the islands any time soon, will be booking another ride through Hawaii Activities!! !